WE ARE THE PREMIER BRAZILIAN JIU-JITSU ACADEMY IN PARK CITY AND THE HEBER VALLEY. WE ARE AN OFFICIAL BJJ REVOLUTION TEAM (6X NATIONAL TEAM CHAMPS) ACADEMY OFFERING WORLD CLASS BLACK BELT INSTRUCTION FOR ALL AGES AND EVERYONE IN THE FAMILY with TRAINING TIMES TO FIT YOUR BUSY SCHEDULE. 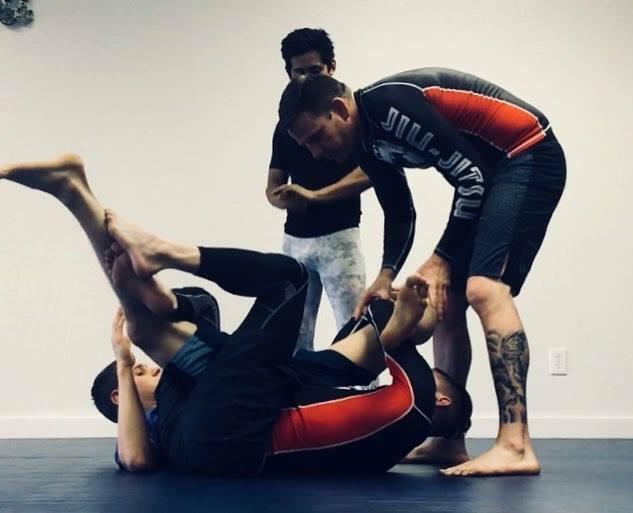 WE OFFER GROUP AND PRIVATE INSTRUCTION IN BRAZILIAN JIU JITSU, AND "NO-GI" SUBMISSION GRAPPLING FOR YOUR SPORT, SELF-DEFENSE, AND FITNESS GOALS. MODERN JIU-JITSU INSTRUCTION FOR ALL LEVELS From THE BEGINNER TO EXPERT GRAPPLER. WHETHER YOU ARE INTERESTED IN LEARNING HOW TO DEFEND YOURSELF, LOOKING TO EMPOWER A CHILD WITH JIU-JITSU, OR IF YOU ASPIRE TO TOURNAMENT CHAMPIONSHIP TITLES, BJJ REVOLUTION UTAH PROVIDES YOU A SAFE A CLEAN ENVIRONMENT WITH THE TOOLS TO ACHIEVE YOUR JIU-JITSU GOALS.